For most people, the hardest part of getting a new puppy is house training. Do it right, and you have a pet that can bring joy to you and your family with no concerns about your pet ruining your floors or furniture. Get it wrong, however, and your pet’s constant accidents will be a source of frustration for as long as you have your dog. This is why it’s so important to house train your dog early and correctly. It’s going to take some time and focused attention on your part, which is why many pet owners fail. They simply do not want to put forth the effort that it takes to completely house train their dog. Here are the steps you will need to follow. 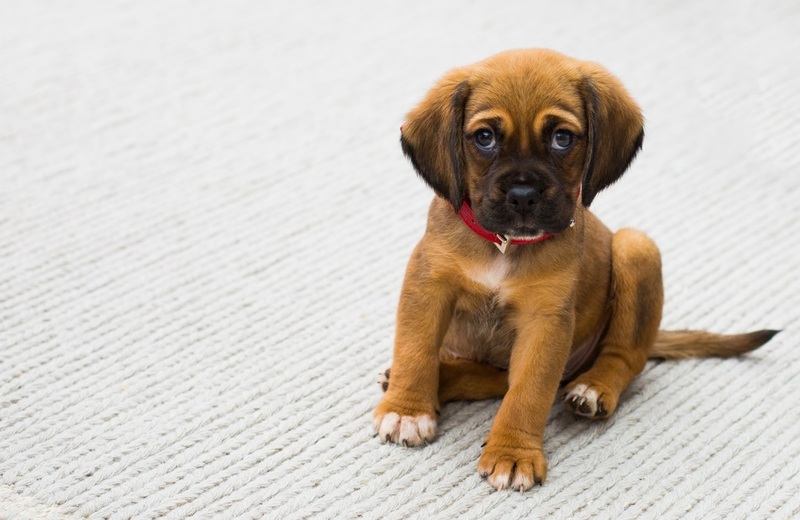 Puppies cannot hold their urine for very long. They should be taken outside every couple of hours. It will help if you can associate a simple word or phrase with going to the bathroom. Simply saying ‘Out?’ is enough to teach your dog when it is time to go outside. You will need to feed your dog at the same time every day so that his body will get in a routine. Also, remove your dog’s water bowl from his reach an hour or two before bedtime so that he will hopefully not have to go during the night. Praise your dog the same way each time he uses the bathroom outside. It’s best to have a designated spot where you take him on each trip. Using a leash each time will keep him focused on the task at hand. When you are around him, pay close attention to your dog. You’ll see that he displays the same behaviors, such as sniffing or looking around intensely – each time he has to go to the bathroom. Recognize those behaviors quickly and get him outside where he can use the bathroom and you can reward him immediately. If you work a full-time job and have to leave your dog crated or in a pen for a few hours, try to arrange for someone to come let the dog out a few times a day, at least for the first few weeks. If your dog is forced to eliminate inside a crate or pen or in a confined area within your home, house training him make take much longer than it should. He may never fully grasp the concept if you are not consistent—then you will end up having to do a lot of stain removal. Older dogs are able to control their eliminations for much longer. If you will be away from home for hours each day, an older dog may be your best bet. Remember that your puppy is learning. He will have accidents from time to time during the house training process. Being angry at him will only put more stress on him and will probably prolong the process. Try to be encouraging when he does well and refrain from punishing him when he does have an accident.